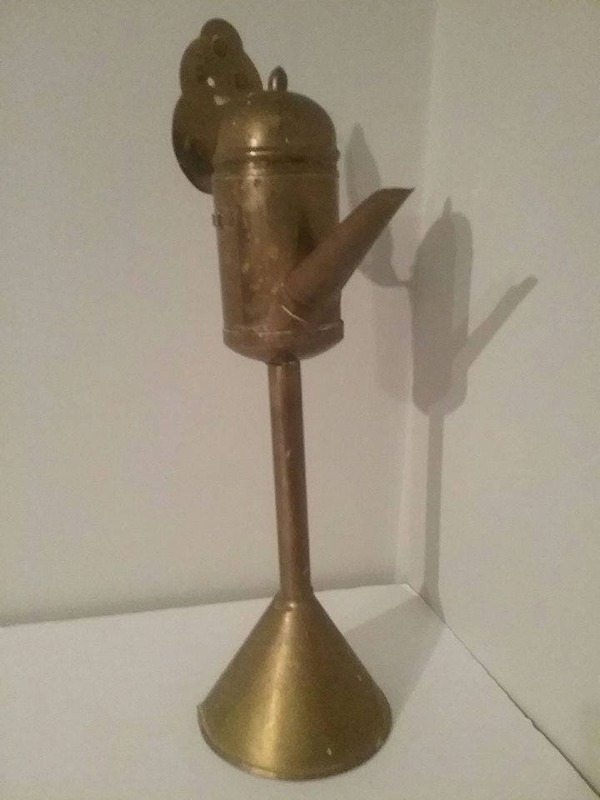 Brass Spout Kerosene Lamp, rare Dutch antique. 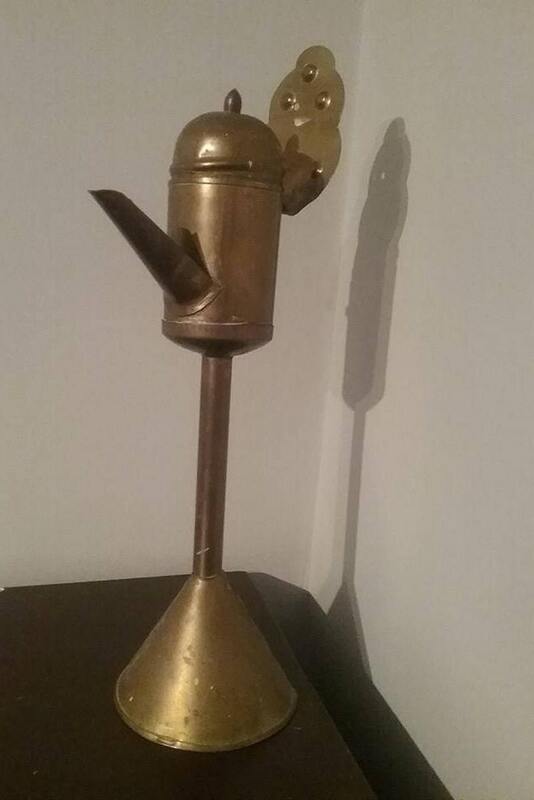 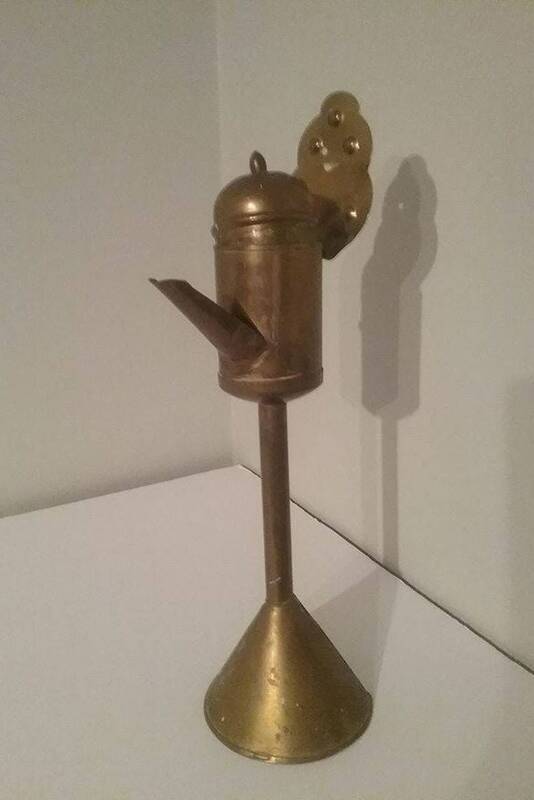 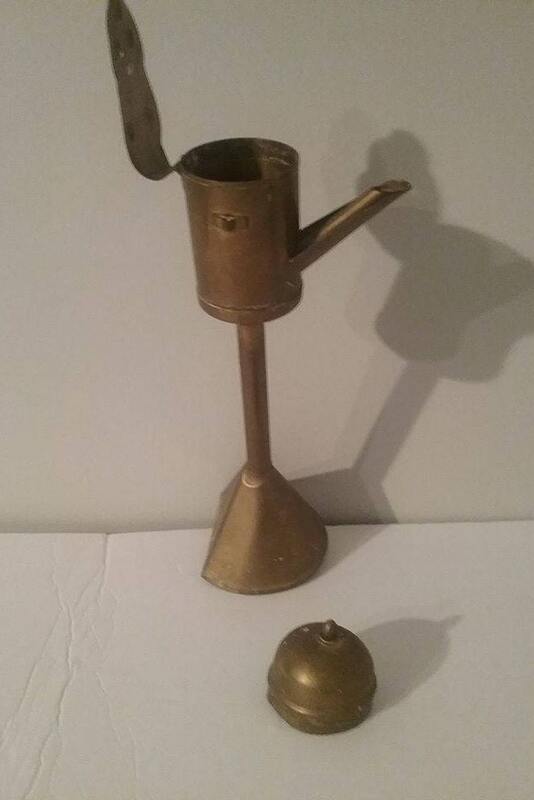 An early wall mount,brass spout oil lamp, the reservoir and spout snugly fit a cup with a matching channel to catch the drip, Good condition, 14" tall Known to have been purchased in antique store in The Netherlands, believed to be circa 1800, in dutch it is known as a Snotneus . 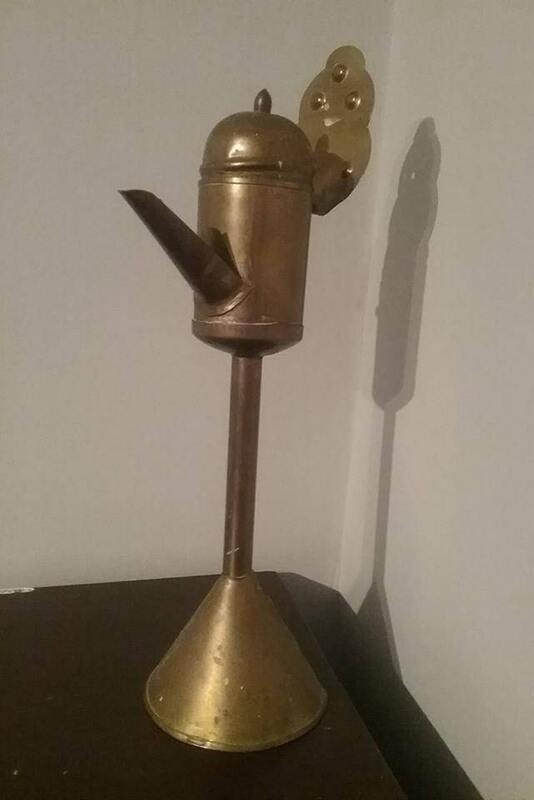 Makes a memorable Christmas present for the collector on your list.